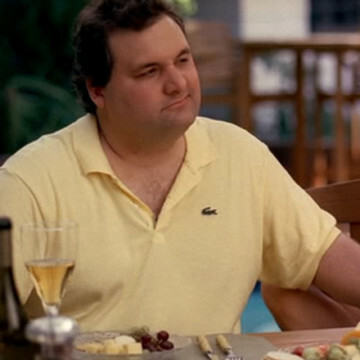 Artie Lange guest stars in the third season’s sixteenth episode, Gotcha!, where he plays the part of Scott Siegel, a former fraternity brother of Ari’s with a sketchy past. Against the wishes of Mrs. Ari, Ari agrees to take Scott in when he plans a short visit to Los Angeles. During his stay, both Ari and Mrs. Ari are shocked to learn that Scott has cleaned up his act, found a nice girlfriend, and has earned millions of dollars after a smart .com investment. Artie was a MADtv regular during the late ’90s and was the right-hand man on The Howard Stern Show for nine years.